We are a Lutron Pro Diamond Dealer with L3 Design Credentials. We specialize in automated window treatments, lighting control and design, as well as other areas of Home Automation including, home theater/media rooms, distributed audio and video, Security Surveillance, and Wired and Wireless Network design and installation. Tekkease is a serviced based company focused on today and tomorrows Residential and Corporate Technology needs. We are technology design consultants focused on setting clear directives and scopes, delivering designs fitting of your needs, budgets, including management of systems and projects. We are true client advocates and focus on high-level service, NOT selling products, allowing us to focus on the right solutions and approach for your specific needs. We work with you every step of the way… We assemble the right team, and we ensure a professional approach while maintaining timelines and budgets. Technology should be fun, easy and enjoyable. At Tekkease our mission is to make sure the worry is out of the client’s hands and that they find excitement and value in their experience. With a focus on white glove service and always striving to exceed expectations, Tekkease is the next generation of technology services and support. We specialize in: Audio/Video, Home Automation, Luxury Home Theater, Security, Surveillance, Access Systems, Networking, Lighting & Drapery Control, Climate Control. Paradise Theater is a design firm specializing in custom, luxury, high performance private home theater design. 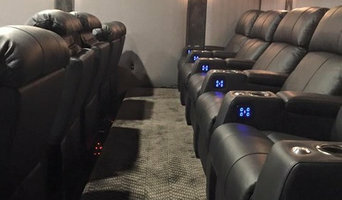 Our focus is to design and engineer private home theater rooms to deliver sensational and unique experiences for our clients. Paradise Theater is a custom, private home theater design firm; we do not sell or install audio, video or acoustical products. Paradise Theater clients have a discerning taste; they are looking for something very special built in their home, something designed to satisfy their taste for things of the highest quality. Our clients appreciate the quality, precision and high performance luxury that only a custom home theater design can deliver. A Paradise Theater delivers a unique addition to one’s lifestyle; an escape from reality. A Paradise Theater is about the experience. The Paradise Theater experience is not realized by chance or happenstance; it must be engineered. Our design philosophy is more sophisticated than ‘form follows function’; we recognize that one doesn’t deliver a truly exceptional experience without the other. A Paradise Theater custom home theater design must embrace both form and function to truly deliver something extraordinary. This engineered performance is only attainable with attention to every detail of the private home theater; something Paradise Theater excels at. Every custom home theater design is a unique endeavor undertaken to exceed the individual needs of our clientele. It is the distinctive nature of each design that gives every Paradise Theater owner a one-of-a-kind experience in their home. This cannot be achieved with template design or a cookie-cutter approach; it can only be achieved with a careful design and engineering process with explicit attention to detail. DSI was founded with a simple, if not lofty, goal... Be the best. Our parents did not raise us to be runner-ups or silver medalists. If we are going to do something, we want to be great at it. For the past 20 years, our talented team has worked hard at being the best. So the question is - the best at what? We determined early on that in order to be the best in the marketplace, the US, or the world we had to be great at the following things: + Design world-class systems that are high-performance, reliable, and most importantly, easy-to-use + Provide fanatical customer service to our clients when service is needed + Always act in the best interest of our clients as their trusted technology consultant + We have made it our mission and our passion to excel at these three pillars of our business. Along the way, people noticed. Our group of professionals has received more than 100 significant industry awards which makes us the most decorated team in our industry. Our growth is fueled by the quality work that we perform and the satisfaction of our clients. Our clients consistently reward our friendly staff, fanatical service, and honest advice with referrals to their friends and family. DSI has assembled the best and brightest talents in our industry. Highly skilled personnel from within our industry and adjacent technologies consistently knock at our door for employment. Our core management team established roots in the industry in 1994 when DSI began operations. More than 20 years later we continue to strive to be the best, to provide fanatical service, innovative technology solutions and sound advice to our appreciative clients. Our amazing team of superstars with over 250 years of accumulated experience, is as passionate about their work as they have ever been. Now that you know something about us, we look forward to finding out more about you and how we can make your project successful. We create home theaters, camera systems, networks, phone systems, house audio, and state-of-the-art home and business automation systems. From a smart home or business to the perfect family room experience, our professional designers will fit your lifestyle. We are confident that we will exceed your expectations; all our work is guaranteed. Specialties: Working with your interior designer, contractor or architect to design the perfect system that satisfies all your Low Voltage needs. Our purpose is to bring friends and family together with technology, simplified by design. We provide client specific solutions for all our projects, every customer is unique and the solutions they receive should be as well. We believe that your experience, not only with your home but with us needs to be second to none. Our processes and procedures ensure that we deliver cutting edge, well thought out designs, exceptional customer service and ultimately an experience and home you will love and tell your family and friends about. We design & deliver Exceptional Experiences, give us a call to plan yours. Consulting, design and installation of Smart Home and media systems for residential and commercial projects. Incorporated in 2002, Gizmo Custom Systems has grown to be one of the most trusted systems integrators in greater California. Serving luxury property owners, celebrities, top talent agencies, and universities, GCS provides world class technology solutions for the most discerning customers in the most demanding environments, Our core principles use seamless architectural integration, long-term value, and exceptional service are relentlessly applied to the entire spectrum of technologies, ranging from entertainment to control, communications, and security. Indeed, there are few technical challenges that our firm cannot meet. Our core mission is to provide discerning customers a means of acquiring today's architectural technologies in a manner that maximizes performance, convenience, aesthetics and reliability. Smart Homes by Design, Inc. Audio Pro Direct, Inc. is a custom audio/video systems integration company. We specialize in home theater and electronic systems, camera surveillance, multi-room audio, multi-room video and more. 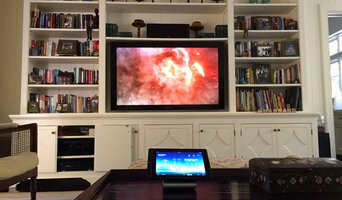 We provide professional expertise for all aspects of system planning, design, sales, custom installation and service for basic home theaters to total home automation systems. We are committed to providing you the highest level of satisfaction and quality service. We are technology people that love what we do and are willing to go beyond what the big box retailers will do to help with your technology needs. Malibu Wired is a high end home automation and lighting system design company. We offer turnkey solutions from pre wire to installation/ programming, specializing in Savant, Control4, and Lutron systems. With over 20 years of business and systems integration experience, Malibu Wired is the solution to your home design for today's electronic lifestyle. We have an exceptional combination of system designers and technicians that can provide creative designs, systems integration, and ease of control for your home. Whether we are programming your systems for access by a simple touch screen control, designing an ultimate home theater experience, or installing the best security system to protect your investment, we at Malibu Wired understand the unique care and attention to detail needed to create your dream home. We can provide detailed schematic drawing of equipment racks, wiring layouts, and system design. Please visit our website and watch the video on our schematics. Haustech is a proven leader in the field of Smart Home Technology. 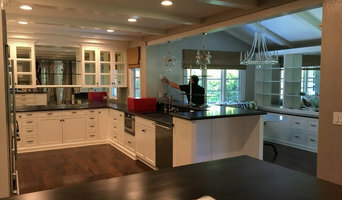 Our team has been involved in hundreds of home automation and audio/video projects throughout the Los Angeles area and we bring years of high-end AV/Automation expertise to each project. More importantly, we leave behind satisfied clients -- and that's a promise! The company was started in 2011 by Michael Fehmers, a 15 year veteran in the AV and Integration industry (formerly at DSI Entertainment and Guild Low Voltage.) His projects have won multiple awards at recognized industry organizations, including Home of the Year, Home Theater of the Year, Media Room of the Year and Best System Design. Haustech has established itself as an industry pro, bringing technology to homes all over Los Angeles from the South Bay, to Beverly Hills, Malibu and beyond. The Haustech team adheres to the following principles: - Attention to detail - Understanding the client - Delivering outstanding quality - Completion of projects within budget and on time, guaranteed! We are passionate about creating exceptional systems for our clients, and our primary focus is your satisfaction. Call us today for a FREE consultation! With 17 years of experience in home theater design and installation, we have continuously evolved with industry trends and pride ourselves on creating the ideal "Smart Home" and Home Theater environment. The "Smart Home" -- Home automation. •Install and program Network AP's to extend your wifi connection to all premises of your home or business offices •Install and program personalized home lighting, window shades, and temperature (Lutron). •Install and program keypad alarm systems and surveillance cameras to monitor your home from your phone •Install and program "Nest" appliances to automatically control home temperature based on lifestyle and seasonal changes, while notifying your smartphone upon detecting smoke and Carbon Monoxide •Install and program "Ring" to visually monitor your home from your smartphone (video-doorbell). •Install and program automatic door locks from your smartphone (Kwikset, Kevo, or Deadbolt) The Home Theater Experience •Mount all types of Tv's: HD, Flat Screen, Plasma, LED, LCD, and others. •Creating a living room movie theater; From calibrating basic 5.1 surround systems to Dolby Atmos speakers (includes further sound separation and theater sound channeling) •Programming Multi-Zone audio experience to channel sounds to different parts of the home, achieving a whole home audio experience. •Mounting and calibrating projector and projector screens. •Programming universal remotes •Integrating existing customer appliances (such as Apple/Fire TV, cable, game consoles...) into new home theater environment •Installing outdoor audio •Finally, we precisely adjust all audio parameters: speaker size, distance, level, crossover frequency, etc. S.O.S is fully bonded, insured and licensed in low voltage wiring in the state of California by the CSLB. We gladly service Los Angeles, San Fernando Valley, and other neighboring cities. CALL NOW FOR A COMPLIMENTARY ON-SITE CONSULTATION AND WALK THROUGH. Reach us at (818) 257-3732. Find a home media designer on Houzz. Narrow your search in the Professionals section of the website to Santa Monica, CA home media designers. You can also look through Santa Monica, CA photos by style to find a room you like, then contact the professional who designed it.